Posted by on Tuesday, October 20th, 2015 at 10:05am. 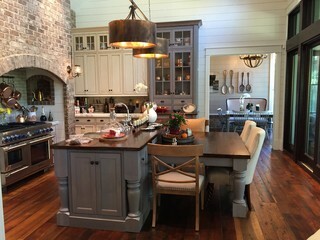 How do you interpret Lowcountry style? 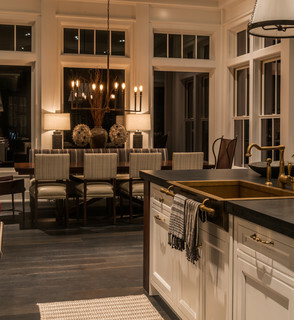 Years ago, Lowcountry styled homes were built for comfort in our hot and humid area. The idea was to remove the hot air and keep in the cool air on long summer days, hence large covered porches, double hung windows and transoms. These spaces have evolved over time keeping their simplicity, elegance and comfort for modern-day living. 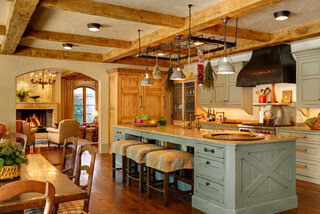 A Lowcountry kitchen is open and bright accommodating family and friends for year-round living. They can be rustic but elegant and often use local materials like brick or tabby. 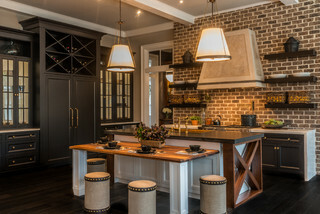 Keeping in theme with the rest of the home, a Lowcountry kitchen usually opens to the main living space providing an inviting area to congregate around a large center island or raised bars. 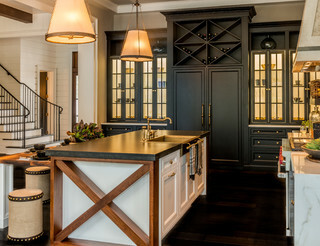 Here are a few of some our favorite Lowcountry inspired kitchens. 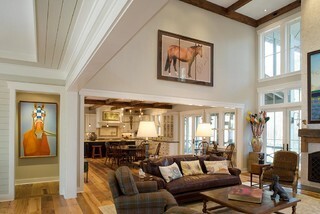 Rustic Living Room by Johns Island Architects & Building Designers Wayne Windham Architect, P.A.